The MetID workshop started with oral presentations given by PhD students from both Imperial and CEMBIO. The PhD students had the opportunity to present their research projects in seven minutes to an audience composed of recognised researchers in this field. We had the opportunity to practice our presentation skills and share our research experience by providing concise information about our PhD projects. On the second day, the workshop started with an introduction by the director of CEMBIO, Dr. Coral Barbas. 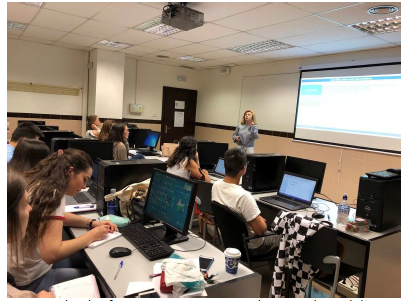 During the second and third days we attended lectures given by researchers from CEMBIO about fragmentation rules and mechanisms (Dr. Ana Gradillas), data curation (Dr. Javier Ruperez), as well as theory-practical lectures about annotation on MS and MS/MS level (Dr. Joanna Godzien). In addition, Dr. Joram Posma from Imperial presented two lectures about statistical experimental design, bias and confounding, as well as MetaboNetworks and graph theory. On the third day, after finishing the lectures, we attended an exhibition on extended reality space offered by the Telefonica foundation from Madrid. We had the opportunity to experience different realities such as augmented, mixed and virtual reality. After this interesting activity, we enjoyed some sightseeing in the centre of Madrid on our way to have dinner together. During these activities the students from both universities had the opportunity to do some valuable networking. 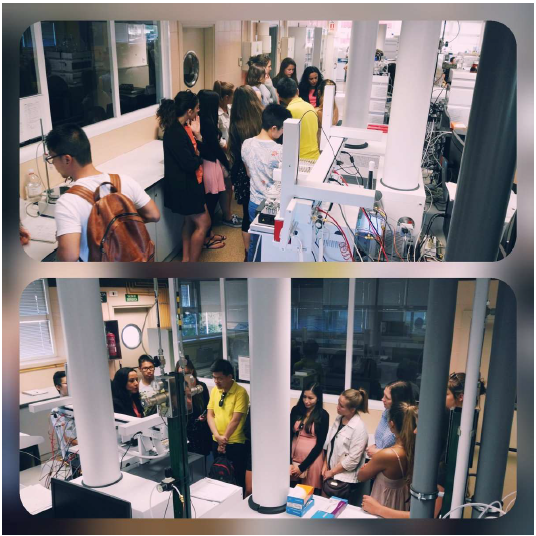 On the final day, we visited the laboratories at CEMBIO. Dr. Antonia Garcia gave us a tour and showed us all the equipment in their laboratories, including liquid chromatography and mass spectrometers. 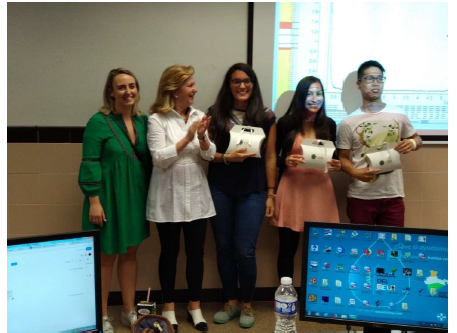 The final day was concluded with a contest about metabolite identification to allow the students to apply all the knowledge acquired during this MetID workshop. Groups composed of students from Imperial and CEMBIO were organised randomly by Dr. Godzien, each group had the great opportunity to apply what we had learned about annotation on MS and MS/MS level by identifying 12 different metabolites. This contest allowed us to apply our communication and team work skills. The group that won the contest was composed of Vincen Wu and Erika Dorado from Imperial and Cecilia Barbas from CEMBIO. We want to thank the Graduate School for providing generous funding jointly with the STRATiGRAD PhD programme to carry out this workshop. 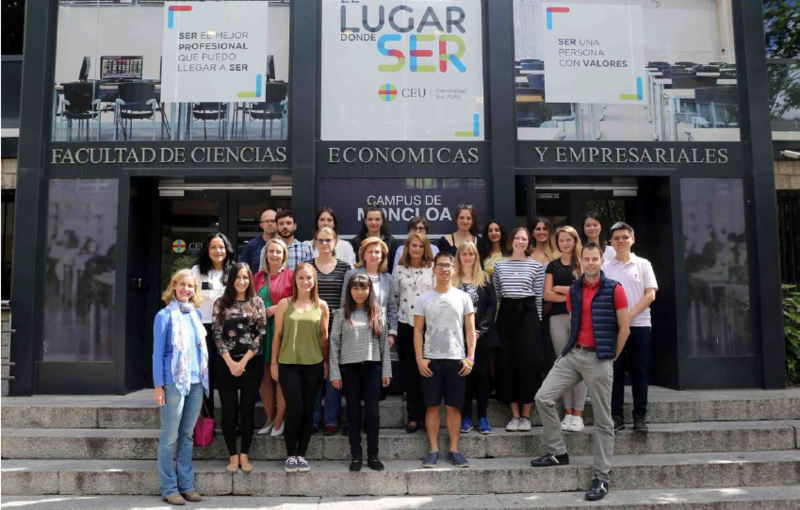 We want to thank Dr. Isabel Garcia (coordinator of the STRATiGRAD PhD programme), all PhD students and researchers from Imperial and CEMBIO for all their effort organising and participating in this workshop. This workshop not only encouraged critical and independent scientific discussion on metabolite identification, but also showed us the importance of networking and scientific collaboration at an international level.